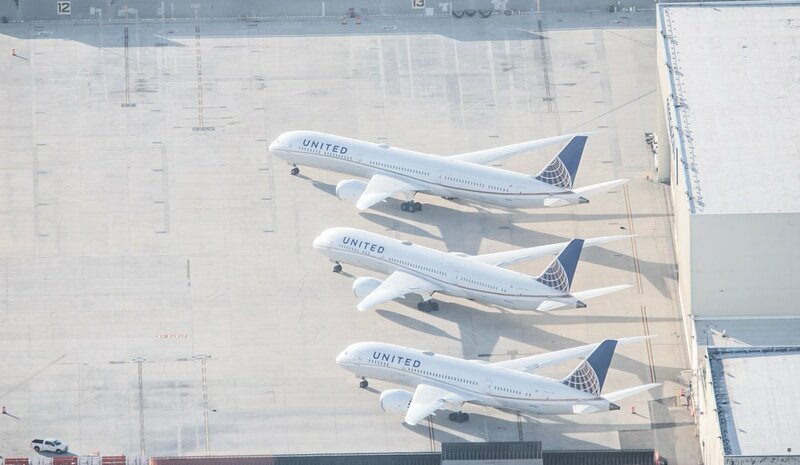 Welcome to the United Fleet and Network Thread 2019 Edition. This thread is for updates on modifications to United's fleet, status of new deliveries, and discussion on routes, services, and products. This thread combines the previously separate Fleet and Network Threads. These posts will contain updates weekly or as needed. The lead contributor for this thread is calpsafltskeds. All information and updates below is provided by this user. For any issues with the updates or for feedback on this thread, please contact atcsundevil. 738: N37267 entered AMA paint 2751/8Apr, new Evolution paint job?? MAINTENANCE BASES: LCQ/Lake City FL, MIA/Mia FL, MCO/Orlando FL, HOU/Houston Hobby, IAH/Houston TX, SAT/San Antonio TX, DLH/Duluth MN, SFO/San Francisco CA, IAD/Washington Dulles VA, SEA/Seattle WA, DEN/Denver CO, HKG/Hong Kong, XMN/Xiamen China. Paint: AMA/Amarillo TX, VCV/Victorville CA, FTW/Ft Worth TX, CWF/Lake Charles Chennault LA. Storage: GYR/Goodyear AZ, VCV/Victorville CA. Induction, first arrival point of a new delivery where UA installs company materials, etc. Polaris, United's new lie flat all aisle access for J passengers. Reconfiguration, change in the aircraft's interior seating and/or lavs/galleys. Can also be called Conversions. So that users are aware — the above two posts contain information that will be updated on a regular basis. It will be updated along with the regular updates provided further down in the thread, and will serve as a quick reference. This is a new system we are trying, and it may be adapted to other threads at a later date. For feedback on this, please contact [email protected] or post in Site Related rather than comment in this thread. United is removing 752s since they don't meet the FAAs new fuel tank requirements right? Are they taking the oldest ones out first without the mods? UA modded all of the 752s to meet the fuel tank inertion requirements. All of them should stay in service until UA sorts out/receives their replacements. The 752s that are currently in the fleet have all received the mods and will be staying in the fleet for the foreseeable future. All of the 752s that were going to be removed because of the new fuel tank requirements have already been removed. We likely won't see anything formal from UA on these 4 until the Q4/FY18 earnings call sometime in February. AP-BNK and the 7 A320s appear to still be in play. The China Southern A319s appear to all still be in service except for B-6018 which has not flown in a month. It's either in the shop for heavy maint or exit prep. Does United Airlines regret retiring the 737-500? Does anyone know when UA will receive their first Max 10? Also I know the tentative configuration 20F/168(E+&Y) But does anyone have any thoughts on what the premium Transcon config may be like? Regarding aircraft with special paint, last time I flew 752- N14106 it had “Sam E Ashmore” painted on the nose. Maybe it’s been repainted, haven’t seen it for a while. Why do we use BF for BusinessFirst still? 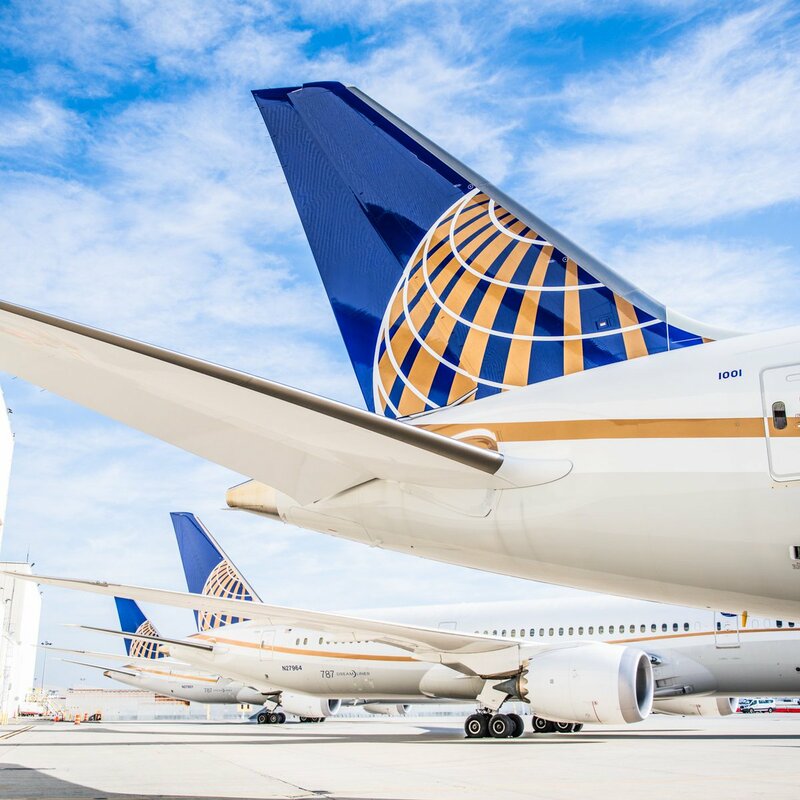 For United to continue its impressive growth in 2018, is the 2019 plan (mostly) rooted in all the new deliveries (both new and used) which would allow for route expansion (domestic and International) and additional frequencies? With 14 new 78J coming, and their routes announced, what about the aircraft they will replace, does anyone have an idea of where those 763/4 & 772’s will be go? Saw it last week in DEN. Looking at 2018 photos after scimitar installation, I'm sure Sam E. Ashmore is still honored on N14106. Some of the new services this summer are EWR-NAP/PRG, IAD/TLV and year around SFO-AKL. It looks like widebodies also serve DEN-OGG, EWR-LIS/MAN (unsure if LIS was a WB last summer). That looks like 6 or more added WB aircraft are needed for these flights. 78X deliveries will have 9 on the property in April with no more deliveries in 2019. Agreed. BF as a brand hasn’t existed in over a year (has it been two years now? ), and especially for the Polaris birds, you can’t even say their seat is the BF seat. Also, I noticed that the 787s have 76V and 76Z listed as their codes. Yes, I know BF is gone, but what is it replaced with that has 2 characters at the most and people will know it is Polaris Business? There are different fare codes for Polaris Business and I don't think we'd use a Fare code for designation. Note that Domestic operations have F service and not business. Why not? We're already using Y for economy, and there are plenty more fare buckets for economy than there are for business. Y is the highest fare bucket for economy with the fewest restrictions, so why not use J for business? Premium Plus and Economy Plus are the more murkier situations. It looks like O, A, and R are the fare buckets for Premium Plus, with O being the highest. A and R used to be deep discount business, but it looks like that's no longer the case, as both of them now book into Premium Plus on flights that have it. Economy Plus has never been a separate fare bucket or a separate class of service, and I don't think UA is going to follow DL's lead with separating it out, so E+ or Y+ still makes a lot of sense to me. What's also interesting is that UA appears to be retiring F as a fare bucket. If you try to specify it in expert mode, it rejects it as an invalid fare bucket. J is now the highest fare bucket even on domestic narrowbody flights. United offers "First class" on domestic flights, but there's no F bucket to be found. Does anyone know what is the plan for sat and Mia Mx when they finish with the 752 and 753 slimline and new seat covers? Possibly for a319/a320 used planes they are acquiring? Or is lcq still the main spot for that. ointotheair, thanks for your detailed listing of fare buckets. I know that F/Y go back to to first days of jet service or before and are pretty standard to the industry regarding seating sections. United shows it's Domestic aircraft have F/E+/Y seating sections that have been around for years. United's International aircraft are now called, Polaris Business, Premium Plus along with coach E+ and Y seating sections. Where many of us our posting on threads and sreadsheets, abbreviations are required. I have no problem calling Polaris Business "J" as it has become an industry used term. I've been using PE for premium economy, which seems to be the industry standard vs. UA' Premium Plus designation. I'd be interested in what others have to say. PE or PP for premium plus section? LCQ has so far been the only location for the CZ craft induction work. I’m going to guess the CZ work will remain there this year as well. Craft coming from other sources is the big Q.
MIA does other work besides ( I think) seats so don’t expect any changes there. SAT is contract work so they may or may not be given other tasks later. When do the 737-800/900 get the new first? Also is there a planned refresh of the 752s. They are in really bad shape. “A new floor is being built on top of the first (newest concourse, like gates 130....etc) so the second UC is being planned as a new build on top of the concourse. Of course they could be misinformed, or repeating an internal rumor...but it was the way the 3 of them enthusiastically said the same thing at the same time...they seemed very happy about it. And, I just used the restroom at the one UC upstairs and it is truly a wreck. Broken sinks, only one working, broken mirror. This club, while so many fixtures are left from the 1990’s, is not the worst, but again for such an enormous hub, it too needs more of a face lift than the one it got! They are all outsourced contract facilities. So they will either bid on new work or move on. Really? I’m not familiar with that at all. Is it on the roof of that concourse? If built out with lots of windows it will be awesome to plane watch, perhaps great views of NYC and Statue of Liberty...if they put in telescopes too THAT would be a very cool touch! I think the fleet thread makes sense because it keeps pace with several ongoing, long-term projects as well as minor fleet-related activity (lease buybacks, small-scale used aircraft purchases, one-off events, etc.) that isn't worthy of its own thread. Major announcements (significant reconfiguration programs, large orders) are thread-worthy, IMO. For the network, the weekly OAG thread is good for frequency adjustments and market add/drops. Larger announcements should still be valid topics for independent threads. I think the network thread is useful for discussion of network plans, but a bit redundant for reporting of actual schedule/network changes. There was a significant amount of crossover among the two discussions. This centralizes the discussion into being more-or-less anything UA. The whole purpose of these general topic threads is to limit duplication of the same discussions. We'll potentially do the same with the DL threads if the updates we're doing at the top of this thread prove to be a popular feature for users. If this thread becomes too lengthy, it may be split into a first half/second half 2019. United themselves posted a few images from the 787-8/9/10 photo shoot at LAX that I shared last month. I have to agree that I think they should be separate. There maybe some crossover, but I feel like one of the largest airlines in the world that constantly has changes to both its fleet and its network are worthy of 2 discussions. Plus, discussions about networks must constantly be about rumors, and the fleet has much discussion about changes known with concrete facts. Wow, I hadn't known the Network thread even existed until a few weeks ago. I see a lot of familiar handles watching both threads. FYI, Network thread had 602 lively posts for 2018 vs. something like 2600 posts for the fleet thread. These is some crossover on these threads and I would think anyone interested in either would be happy to see what discussions are going on with the other and can learn something and/or enlighten others. Additionally, it would seem the combined thread will have almost daily or more posts instead of gaps between posts. This year's fleet info is posted at the top of the thread and will be updated weekly if things change. As such, there may be less questioning about fleet issues vs. previous. I welcome the combined thread and see the synergy between both will improve discussion, IMHO. But, as atcsundevil has posted and set up, this is an attempt to improve information and dialogue that may be an example to improve ANet forums. I hope we can all give it a go for a while before splinting it up. As a network discussion topic, I would like to know UA's strategy with placing 752's on a lot of transcon routes this year out of EWR/IAD. Specifically stations like PHX/SEA/SAN/LAS-EWR/IAD. I wonder if this will stay year round to maybe compete with jetBlue Mint. The 767s are taking over the former 757 transatlantic routes, so they're going on the high traffic domestic routes now. It competes with mint. I am not in EWR as much as I used to be. But it is a larger space at the far end of C3 above the food court area. You can kinda see it when you deplane from an inbound intl flight and head to FIS. I mostly just see IAH & ORD now days so I can only assume it is still just sitting up there vacate. It should be a good amount of space as CO had planned on it being a piece of EWR “Global Gateway” if I recall the branding right. Thanks! I will try and catch a glimpse of it. It’s odd, since the Polaris Lounge opened (and IMHO I have been really impressed with it so far) I figured in my head “the only way to solve the overcrowding at the one remaining UC would have to be building above another concourse!” - I had asked so many times when I was at either lounge “so...what’s the plan?” But the reps kept saying “they haven’t told us yet”(and BTW they were ALWAYS really nice, never snarky or dismissive) but they all did agree that the current situation with the “pop-up” Clubs was undoing all the good stuff about TC, and were hoping to hear good news- and soon. This time finally they seemed very pumped about it. I gotta assume that UA must simply have their hands full...Oscar (I would assume) is pushing through a lot of changes and across the system. There is probably only so much that can be done in a year, each “thing” feels so slow sometimes. N686UA, former N592UA ferried GYR-VCV 2703/3Jan. Storage or Paint? N76010 entered AMA paint 2736/2Jan, first pmCO repaint in years. I would guess paint... can’t see any reason to move it storage to storage... It’s still operating with the N592HA Reg. as well. N37510 B1 3Jan .... Finally... N27511, which was 22 frames behind it, is ready for delivery. Thank God! So much of the sCO fleet looks and feels like it hasn’t been touched since the merger. The 752 are likely the worst. But I flew a sCO 777 HKG-EWR last year and it was peeling paint inside and out. Clearly nothing had been done for it in years. I would love to see these plane get the TLC the 763 I flew with Polaris had. Beautiful nose to tail. N16713 sked to exit SFO 2799/4Jan in GUM configuration. Now GUM has 3 73Gs. Usually 3 or 4 units in GUM and N17730 in SFO now could be the 4th 73G to replace a couple units that were moved back to Domestic service for corrosion prevention. [quothete="blacksoviet"]Does United Airlines regret retiring the 737-500? It likely would have had to as Max’s came online. I remember Southwest was unable to operate he classic, NG, and Max simultaneously without having a separate pilot group for either the classic or the Max. I’m sure UA would have found them in the same situation. I don’t miss working them. Tiny cargo holds. It is good to see more attention being paid there. Since the merger, an attitude of sCO planes were ahead of the sUA planes led to all attention being paid to sUA. Obviously, sUA planes needed more dramatic paint changes, and the newly merged airline adopted more of sCO's onboard products, but now that Polaris has replaced the Diamond's going forward, in the future I see the fleets being treated as more like one fleet.